Plants are great healers. 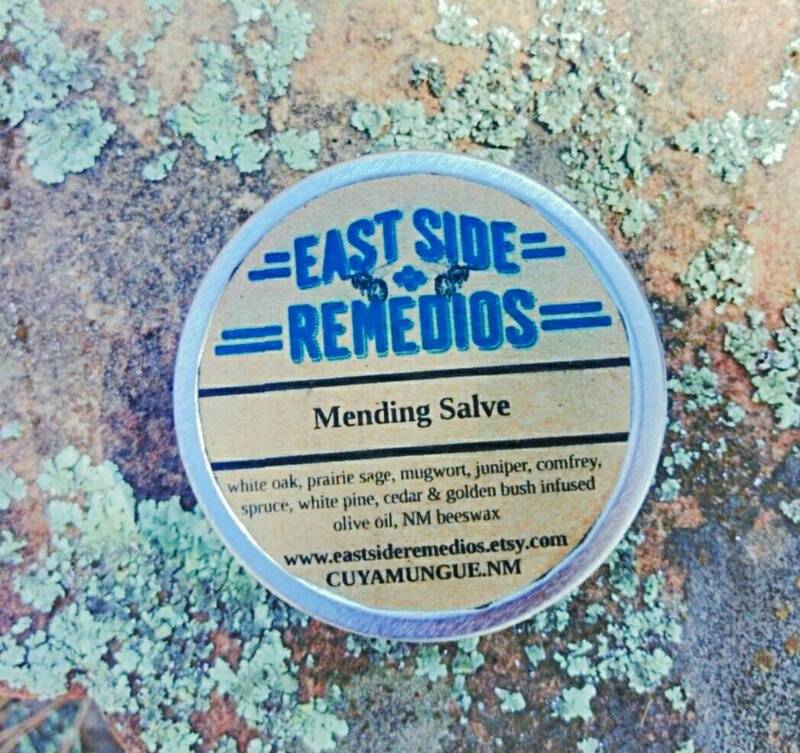 Our Mending Salve is our natural "neosporin." Great for cuts, scratches, scrapes and everything in between. White oak, alligator juniper, turpentine bush, golden bush, white pine, Engelmann spruce, cedar, prairie sage, mugwort and comfrey are infused in olive oil pomace. Beeswax from our NM apiary. Available in two ounce tin or 1/2 oz tin.